"Ceci n´est pas” or “This is not” is the final group of works from the three part series, which began with Miguel Vallinas’ “Skins.” Nonetheless, it is shown as an open collection, capable of including the many images that surround human life. It is true that “Ceci n’est pas” is the logical extension of the previous bodies of work in which the artist deconstructs the human, beginning with reality and evolving towards surrealism. 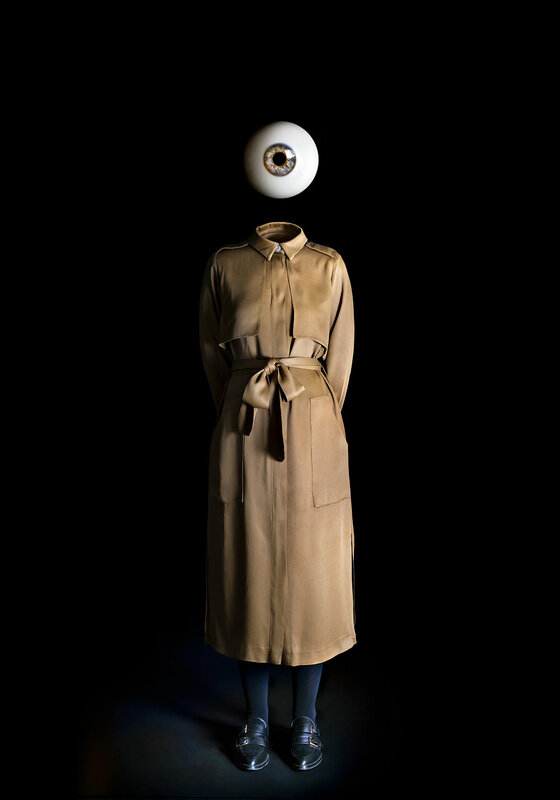 Compared to the previous collections, these photographs demonstrate a physical separation between the body and the head, which has been replaced by inanimate objects. “Ceci n´est pas” intends to explore once again the concept of identity and personal choice. The objects shown are things that represent our thoughts, our determination, our wishes, or perhaps just things from daily life that we may take for granted. The title of the collection comes from the name of a work by the surrealist painter Rene Magritte, who intended to change the perception and expectations of the viewer by creating visual games or double meanings. The intention here is quite different, far from creating questions for the viewer with surrealist imagery, instead it tries to find answers, triggering thoughts on identity and acceptance. The focus is produced by the unacceptance of that which we observe being something else – it is everything that is implicit in our existence and that that which is definitively ours is the result of our circumstances, our wins, our errors, and our decisions.